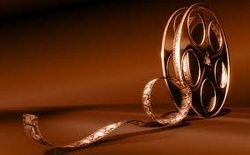 All memory is stored in the brain in picture form much like a movie reel. We will partner with you on a prayerful journey towards renewal allowing Holy Spirit to edit the traumatic moments from the movie reel of your life. The Word teaches that God makes all things beautiful and will cause all things to work together for our good. Come allow Holy Spirit to give you an empowering way to remember the past so He can move you forward. We have been helping our clients mitigate the spiritual and emotional effects of trauma for more than a decade now and would love the opportunity to assist you. We offer personal ministry appointments, training and resources for understanding trauma and its impact on individuals and families.